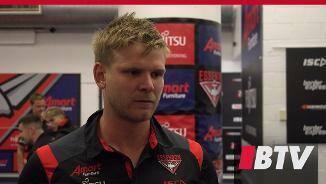 Michael Hurley says it is important for the players to harness the emotion from the club’s disappointing 11-point loss to St Kilda on Saturday will hurt. 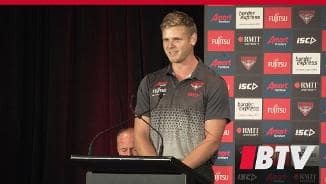 Star Bomber Michael Hurley has helped celebrate a mightily generous donation from a young and passionate Essendon Junior Club Member. 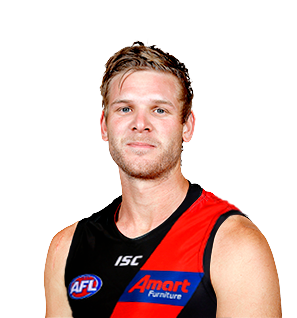 Former captain Brendon Goddard joins current stars Dyson Heppell and Michael Hurley as the Bombers' newest Life Members. One the club’s most reliable players, Hurley is a powerful and determined key defender who put together another impressive season in 2018. 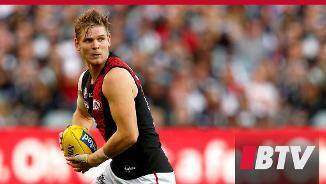 Off the back of his second All-Australian selection in 2017, Hurley was a rock in defence once again, dominating in the air and on the ground and taking on each challenge with confidence and skill. He led the league’s key defenders for disposals, effective disposals and marks (a career-high average of 7.8 per game), while he was fourth in the league for average rebound 50s. Despite entering his 11th season, Hurley is showing no signs of slowing down and will once again be one of the club’s most important players.